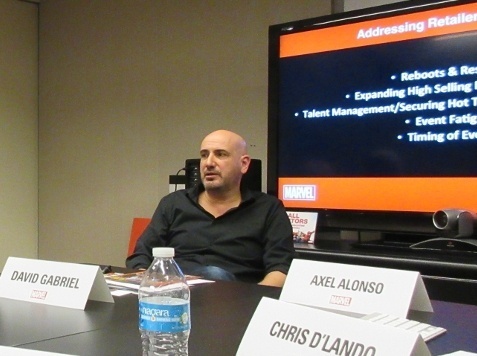 The first afternoon of the Marvel Retailer Summit (see "Marvel Retailer Summit") was a free-flowing discussion of retailer concerns, led by Senior Vice President – Sales and Marketing David Gabriel and Editor-in-Chief Axel Alonso. In Part 2 of this two-part article, we cover the discussion of talent management, securing hot talent, creating new talent, event fatigue, timing of events, and trade pricing. In Part 1, we covered the discussion of the many changes to Marvel characters over the past few years, reboots and restarts, and expanding high-selling franchise titles. At the end of the event, we also asked David Gabriel some questions about the shift in the market last fall that motivated, in part, the Retailer Summit (see "Marvel’s David Gabriel on the 2016 Market Shift"). 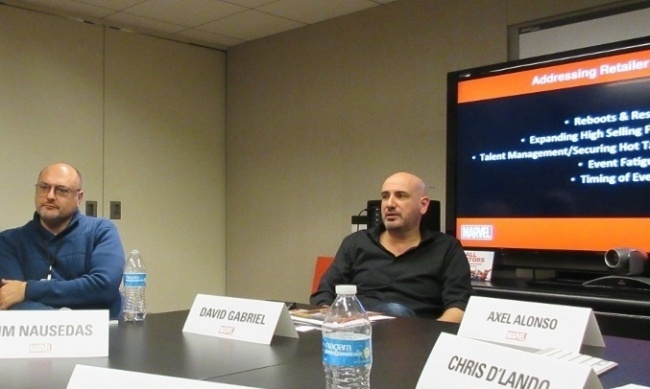 In general, both retailers and Marvel expressed some frustration at how difficult it was to keep top creators on long runs on titles, with many alternating their time at Marvel with time working on creator-owned projects, although many creator-owned titles aren’t doing as well as they used to either. "There is a thing happening now with first issues where we're seeing 80 to 90 percent drop‑offs on issue two, and to me that says that there is so much product out there that people are willing to dip a toe in, but they're not willing to stay," a retailer noted. A second retailer concurred. "There is that too, working here as well," he said. "I mean that's another thing with the whole Image one thing, is that we always get hit with #1s. Everybody's got to make a decision, and everybody's got a budget." But the economics of creator-owned are tempting. "The things that I've heard from a number of creators who do creator owned stuff at Image," a retailer explained. "They tell me that they can sell half the number of copies at Image, and make twice the money that they do on a Marvel book. Now I don't know if those are exact numbers, or if they're exaggerating or whatever. That's sounds to me like it's definitely one of the things that makes your job difficult at acquiring talent." Alonso argued that wasn’t true on all books. "I don't doubt that's true with some high circing books. I know it's not true for low circing books. I know I've spoken with people who let's just say wish they hadn't launched an Image book this year, with the way the money got sucked out of the market, and all the rest." Gabriel concurred. "I think depending on who you talk to, you're going to get a different story from those guys," he said. "Anyway, suffice it to say this is sort of an hourly conversation around here. We're always talking about creators. I personally think that Axel and our editors here are the best in the industry at taking some of these small guys that you've never heard of and being able to boost them up to great levels." Many top creators move around a lot. "I don't need to name names, but you know who I'm talking about," Alonso said. "You see big people pop around. They're hired guns. They like what they do. I've got 12 issues. I would write and tell my story, and ride off into the sunset and everybody goes, ‘Wow, who was that masked man?’ That's what he wants to do." There are fewer artists that impact sales than there are writers, Alonso said, and they’re harder to promote. "It's harder to pop artists these days," he said. "There is no apparatus out there. 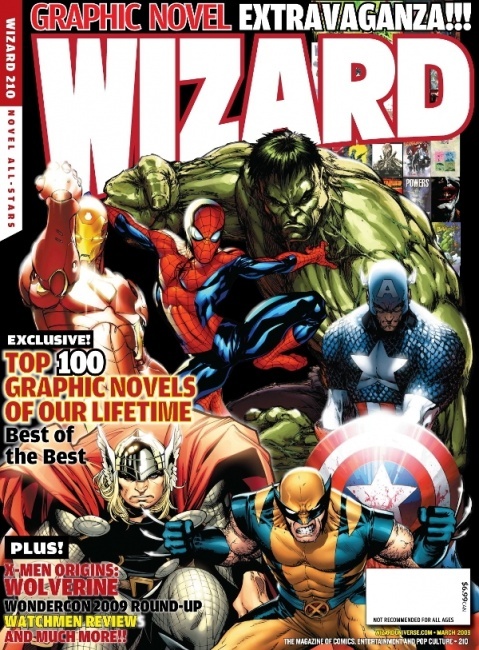 There is no Wizard Magazine out there that told you who the hot top 10 were. We don't have that anymore. We can hype our artists all we want, but I don't know if we know how many artists, besides maybe McNiven and Coipel, absolutely move the needle on anything to be drawn. It’s not just publishing rights that draw creators to creator-owned, it’s also secondary rights. 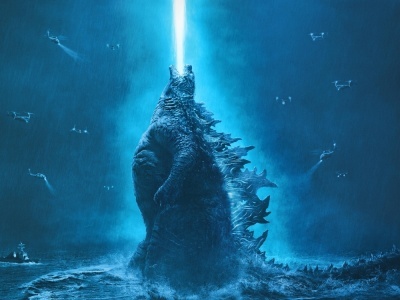 "This is one of the things that we have to contend with as well," Alonso said, "The lure of writing the comic book that is getting optioned as a movie. That's where we have to be patient and we maintain good relationships. Every once in a while there will be scorched earth, but we keep those doors open and we wait for opportunity. Often times they come back." The number of events, and the fact that they overlap, makes it hard to focus, a retailer argued. "When they're (more than once) overlapping over a very short period of time, the audience itself cannot necessarily tune in," he said. "They're able to pick one or two, and then they just check out the other ones, just because it's more promotional marketing noise. They can't figure out what to read." That brought the discussion back to the decay in sales over time. "What do you want us to do?," Gabriel asked. "Look at Secret Empire, you've got four months. I can guarantee you in the last two months the sales are going to go down, because they do on every event, in every story, and everything we do." "We have to look at that and say, ‘We need something to prop up those last two months, not just for us but for all of you.’ That's where the sales idea of Generations came from (it was more editorial). Then we're getting into the end of our year. 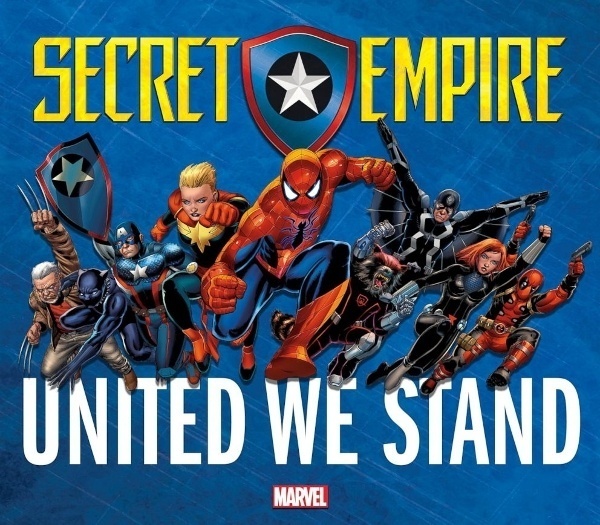 You're going to have Secret Empire, which is going to be down. You're going to have Generations in the second month in September which is going to be down because of the way things go. We sat back and said, "Well, what's an easy thing to get out?" "It's insane," a retailer said. "I absolutely get it," Gabriel responded. "Because when we put the catalogs together, we go out of our minds with, ‘Well, what's going to go on the front cover? What's going to go on the back cover? Which is the 'event' event? What's the big event, and which is the 'story' event (that we don't want to call, 'story,' because that sounds lame, and no one's going to want to buy something that's called, 'Here's a five‑issue story.'" Alonso responded to the issue of delays in one event causing overlap onto another. "Speaking of event fatigue, though, that's a thing that fatigues us," he said. "I totally hear you about the shipping, and that's a thing. Secret Empire won't ship late, and it won't because it's got multiple artists. That template works." "When I became editor‑in‑chief, we did AVX. When I suggested multiple artists and multiple writers, Dan Buckley went Red Hulk on me because that's not the way we did events. I said, ‘Well, actually, we have been doing events that way. We've been doing X‑Men events." What people care about is rapidity of ship. Correct me if I'm wrong. They want to come out on time. Rapidity of ship helps, because it means that you don't have to wait a month for the next chapter. They're more forgiving of art shifts as long as they're good." Alonso noted that Marvel shares the pain when a series runs over. "Where we run into trouble is in big events when we've had one writer, one artist, and we scheduled it too tight and/or the writer decided to add another issue at the 11th hour. Again, these things happen. I couldn't finish, and then everyone pays for it. The story gets done right, but at no small repercussion to the larger plan. We're sorry, and we feel your pain, because we felt it on our end before you guys felt it." Gabriel laid out big news on this topic. "Hopefully, you guys will be happy to know that at the end of Secret Empire, we do not have any big crossover event scheduled. We haven't even talked about one for 18 months, at the very least. Those will be away for quite a while." What to call storylines that might not rise to the same threshold as the line-wide crossover events was noted as a problem. "If you have another idea for what we should call those stories, please help us," Gabriel said. "A maxi-series," a retailer suggested. "Totally, you should do maxi-series. Or a mini-series." 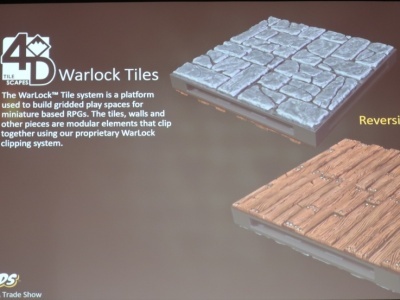 "I'm going to tell you, the limited series is the death knell,” Gabriel said of the current market environment. "The only place that it hasn't been a death knell, which is amazing, is on the Star Wars stuff. 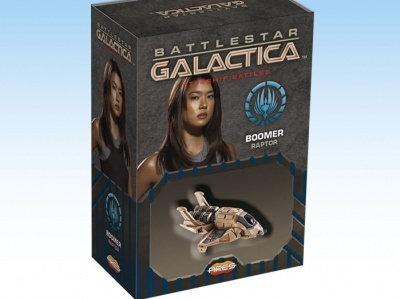 Anytime we've called something a limited series, it did not hurt the sales at all. You call anything else in the Marvel Universe a limited series, it's dead on arrival." Alonso sounded rueful that the name was such a problem. "I would love to be able to release limited series," he said. "There'd be nothing more reassuring than that, because it means that I can create a team and say, ‘All right, you've got 10 issues, you've got 12 issues. Write it. You know what your ending is. Get it done.’"
A retailer noted how a number of the problems being discussed all fit together in ways that might permit a solution. "Honestly, listening to this discussion and hear us talking, looking at these things, it sounds like the event fatigue, the timing of events, the wanting number ones, the idea of doing shorter series to attract creators, not necessarily announcing them right away is that they all overlap just enough that it's really coordination and a thoughtful game plan on how these would work, because they're all just negatively affecting each other when they can actually all complement one another," he said. Another topic that wasn’t on the formal agenda was pricing for Marvel graphic novels. “To use the prime example, coming up is Inhumans," a retailer began. 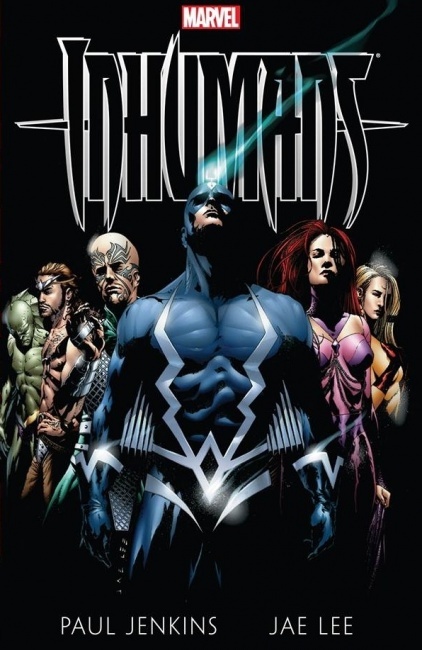 "The Paul Jenkins, Jae Lee Inhumans is $34.99. It's a 304-page graphic novel. By comparison (it's not entirely a fair comparison), Batman: The Long Halloween at 340-something pages is $24.99. Gabriel responded. 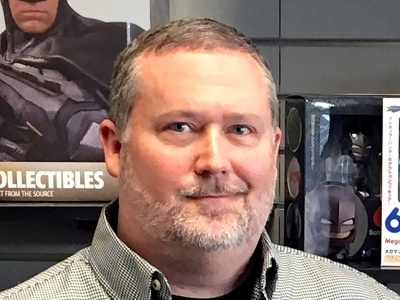 Two things there, if those prices came down (and this is more on what we call our in‑line trades, our monthly trades), we're going to run the problem that people are going to jump from the comics just to the trades, because the trades are going to be 50 percent cheaper to buy than the comics,” he said. "We're always stuck in that quandary." Marvel’s late start getting into the book business relative to some of its competitors also affected its pricing as it had smaller volume to begin with than publishers that had more advanced book format programs. "In order to make sure that they made money, our trades had to be a little more expensive," he said. "I know that sounds ridiculous, but we wouldn't have got them out the door if we didn't have some of those pricing on there." "Now we're in a fix, because do you want to have a $34.99 Inhumans edition out there as well as a $19.99 one? To me, that's going to cause a lot of problems as well. I don't have the answer for it yet, but there needs to be an answer. I absolutely agree with you." 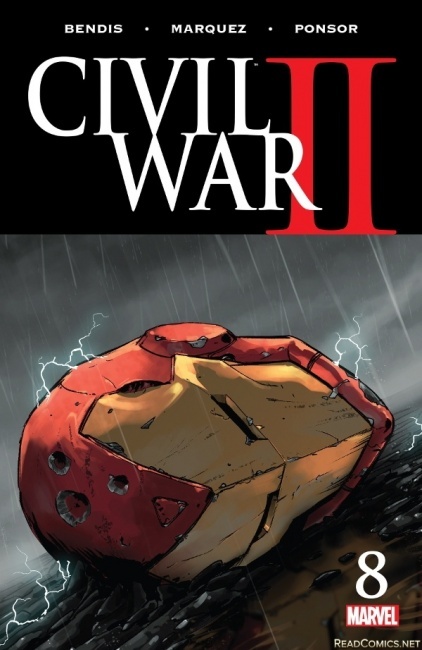 Several retailers asked that Marvel consider $9.99 first volumes. "We're not against that," Gabriel said. "I don't want to have two different prices of trades out there, which we could end up with. I don't want to have people saying, ‘Well, I don't need to buy the comics.’ We'd have that trouble. You are right, yes, we should have $9.99. I've actually (since you sent that into me the other day), been trying to come up with a way to do that, where maybe it's not necessarily a trade. I don't know that I want to put those out in the book market, but I don't have any issue with getting them to the direct market, if that makes sense." 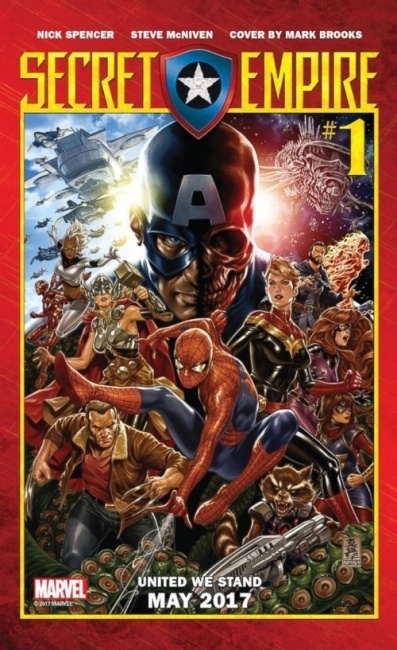 There was also considerable discussion of Secret Empire, with some reveals of what was coming. Retailers left the Thursday session optimistic about sales on the event, and about what it meant for the future of the Marvel Universe. 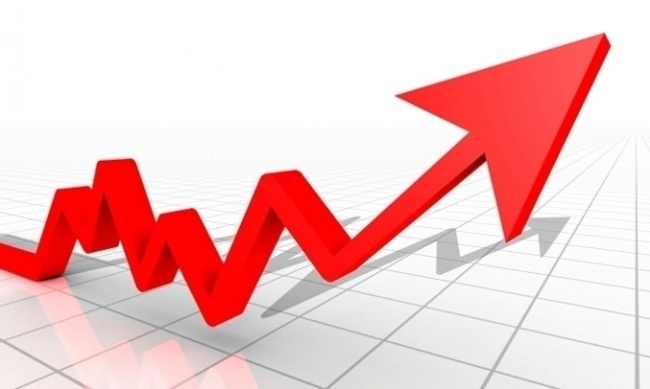 Click here to go to the David Gabriel interview on the 2016 market shift.